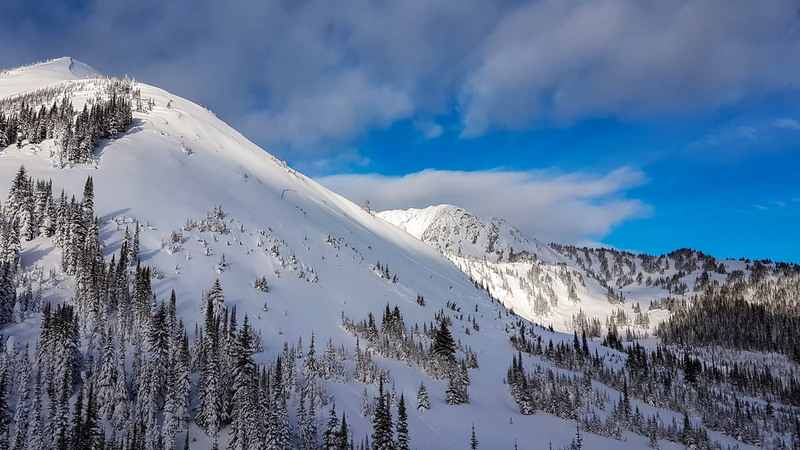 With massive snowfall and vast areas of treeline and alpine riding, Allan Creek has something for riders of every ability level. 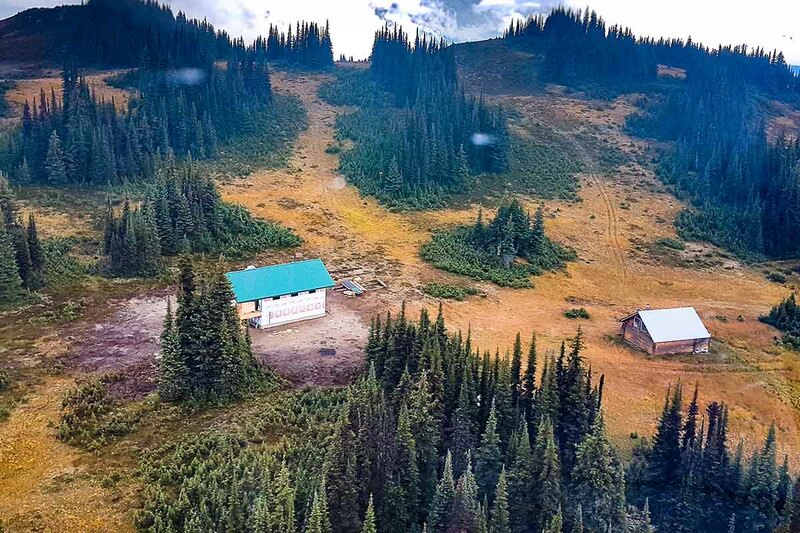 Allan Creek is best known for quick access to the alpine and vast expanses of varying terrain. With a bit of something for everyone, Allan Creek caters to both the newer rider and the most seasoned mountain veteran. Situated not far from the community of Valemount, BC and managed by the Valemount & Area Recreation Development Association (VARDA), Allan Creek has been a favourite of mountain riders for decades—in no small part due to its average annual snowfall of over fourteen meters at 1800m of elevation. From downtown Valemount, head south on Highway 5 and hold steady for 36 km. The staging area is located directly adjacent to the highway on the right as you approach. There is a small sign, but have your foot ready to hit the binders as somehow this parking lot tends to come up fast. Turn off the highway into an enormous and regularly-maintained staging area. There are no gravel roads or battles with logging trucks to contend with here. The parking is broken up into two lots—upper and lower. Big rigs and trailers should park in the lower lot, while smaller units may proceed to the upper lot. 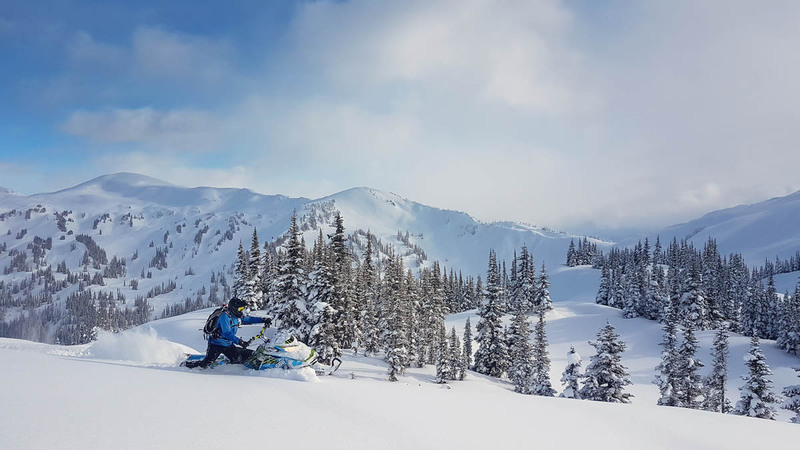 Allan Creek has been a favourite of mountain riders for decades—in no small part due to its average annual snowfall of over fourteen meters. 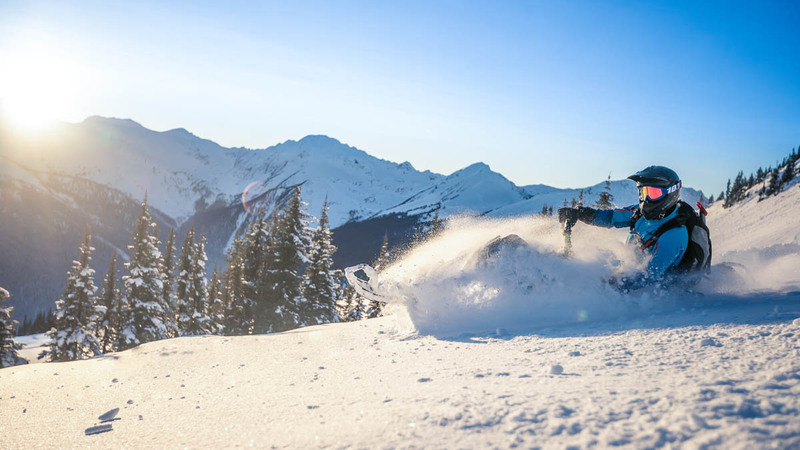 With just a short, 9 km groomed trail, Allan Creek provides very quick access to the alpine. Riders can expect a few steeper sections and some switchbacks, but the trail is accessible to everyone. There are some techy goods that can be accessed on the way in, however. To explore the South Burn, head left off the groomed trail between the 7 and 8 km markers. This reaches a burned zone along a south-facing slope that goes on for miles. Keep your wits about you though, as it can get steep and tight. Yours wouldn’t be the first group to find themselves unexpectedly spending the night there. 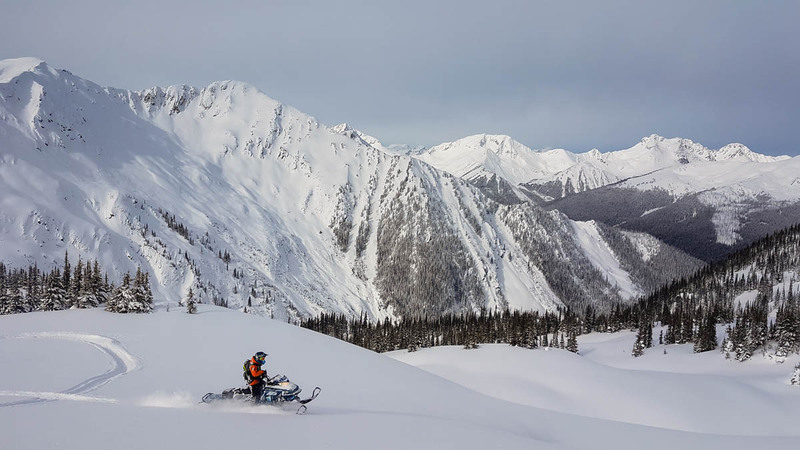 The more common option is to ride the full length of the groomed trail, which travels through a large open meadow as you crest into the upper-treeline terrain. The warming shelter is located smack-dab at the end of the groomed trail. 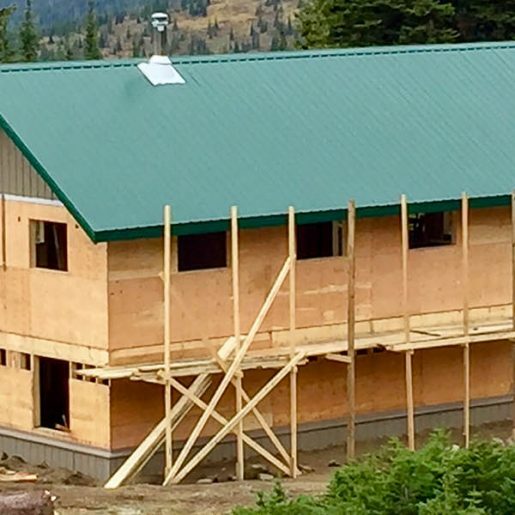 A new shelter is being constructed in the Allan Creek area, which will be ready for use by Winter 19/20. Allan Creek is naturally set up with a linear layout. Riders typically start out near the shelter, and most of the riding is generally west from there. One major benefit of this layout is that you don’t have to go through or near complex or challenging terrain to enjoy good family riding. Around the shelter there are meadows ideally suited for all levels of rider. The farther you push into the area, the more riding skills and training are needed to be safe and successful. Directly east from the shelter and up a mellow little hill is an area known as the Family Lakes. This area, which features a series of short hills and small alpine lakes, can offer hours of quality riding for newer riders. Travelling west from the shelter towards the main riding area will funnel riders down a short, tight little path through some trees to where another large, flat meadow awaits. On the northeast side of this meadow is a thick treeline which generally distinguishes the boundary for the Mountain Caribou closure to the north. The southwest side of this meadow offers some great riding which ultimately leads down into the South Burn area. 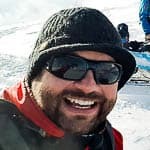 To get the most out of riding the Allan Creek area, it is recommended that riders download the Allan Creek GPS file from the VARDA website onto their smartphone or GPS device. This will help riders to be sure they are always within the designated riding area, staying out of the Mountain Caribou closure and also to help find little gems that exist all throughout Allan Creek. The main travel route follows the center of the meadow for 1.5 km before things begin to get a bit more real. The first feature is a popular bowl known as Caribou Bowl; this historic location was one of the main play areas back in the day. If you could climb this hill back then, you were doing something right. The main path into, and through the bowl, leads down a narrow ridge. As you drop in, you will find the first bit of technical terrain. The ridge leads down into a sharp creek crossing before you pop up onto the lower plateau of the bowl. The next main feature heading northwest is known as the Ol’ Hillclimb, where sledders used to hold races back in the late 90s. 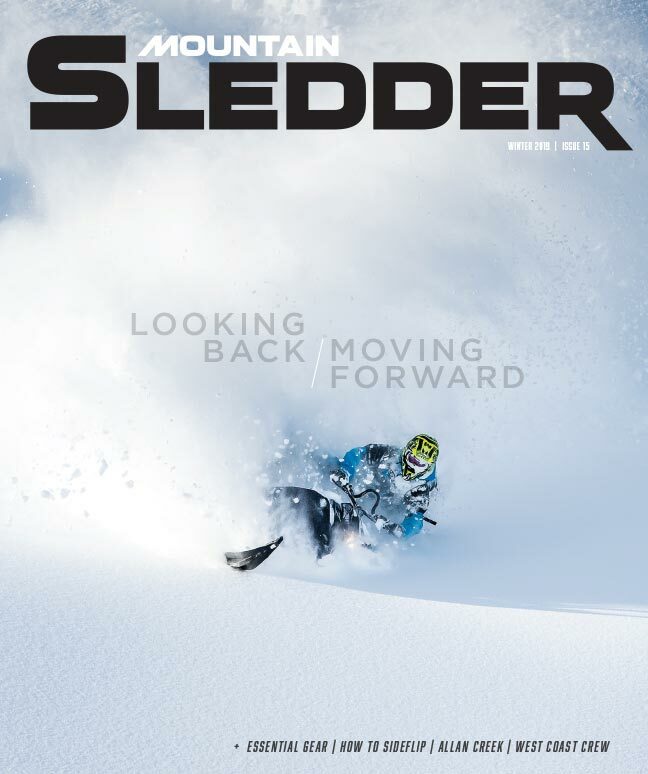 With modern sleds it resembles a hill more than a mountain climb, but it can still be a good pull on a fresh snowfall day. The route up the center presents the steepest option, while looker’s left offers a more gentle route to the ridge top. 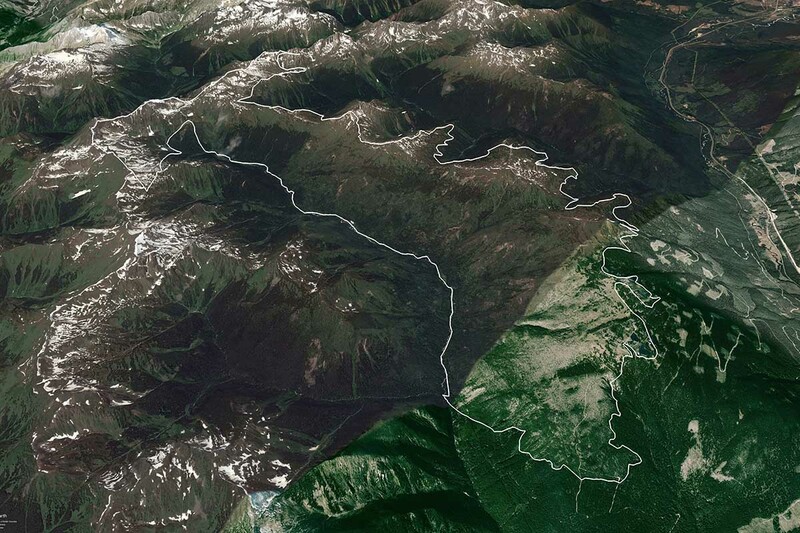 There is a route around both Caribou Bowl and Ol’ Hillclimb via the South Burn, but again, I’ll leave that up to you to explore. Looking back into Super Bowl, one of the main zones in Allan Creek. Once riders have gained the ridge atop Ol’ Hillclimb, they will get their first real view of the vastness of Allan Creek. If you are lucky enough to have clear weather, your eyes will most surely be drawn towards the area we call Avalanche Alley, to the west. Dropping down the backside the Ol’ Hillclimb is an open, undulating area that features several mini-zones. These can entertain riders for a long time, as the snow there is often protected from the sun and wind. The main trail through the zone leads to the entrance of Avalanche Alley. This is an extremely large and unavoidable terrain feature. If you plan to venture into some of Allan Creek’s best riding, there is no way around. Avalanche Alley consists of a massive, stepped slope on the left, with a deep creek draw on the right—with no real options available to reduce your exposure. Riders must skirt the lower edge of the slope for approximately 1 km before reaching relative safety on the other side. Now, it should be stated that hundreds of people pass safely through this zone every week. However, it has also been known to produce some very large avalanches and riders always need to be aware. Good travel habits are key here. Once safely beyond Avalanche Alley, there is a series of small, steep chutes that can be a blast on days with good stability. But for the everyday rider there is one main path through. This route steps up through various features and eventually emerges into a beautiful piece of terrain known as Superbowl. Superbowl is a massive alpine and treeline feature, boasting every aspect of riding you can ask for, and is big enough to easily be divided up into several smaller zones. Pushing west to the end of Superbowl, riders will arrive at what might seem to be the end of the riding area. But the adventure is not close to over yet. Reaching the summit of a climb beyond will put riders into what is known as The Premiers. This massive south-facing zone is primarily off-camber. Losing your line here may send you off track into, yet again, the South Burn (I told you it was big!). The goods awaiting you in the far back reaches of Allan Creek. The south-facing side of the Premiers holds many jewels and secret stashes, but is also the access point to several massive riding zones in the far reaches of Allan Creek. 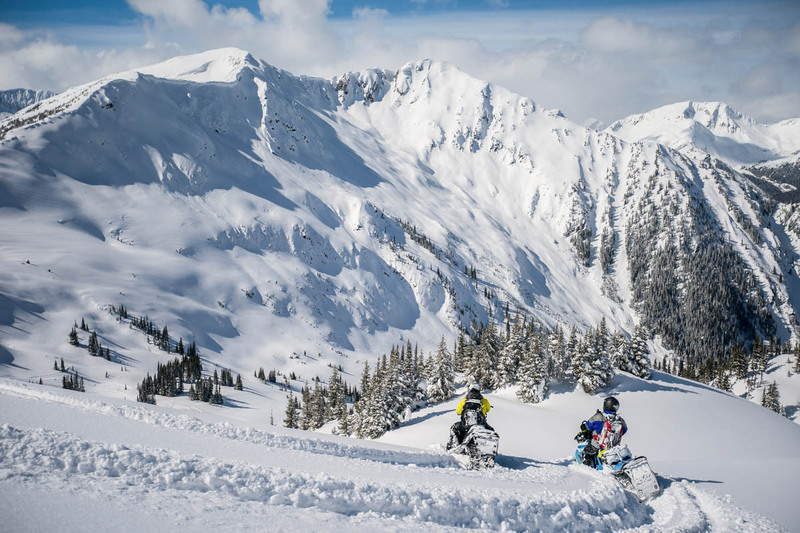 Riders who are able to push on and drop back over into the northeastern terrain features will be awarded some of the best protected snow in the area. But it can get tricky to navigate back there; so if the weather comes in, it may be time to think about heading back out the way you came.